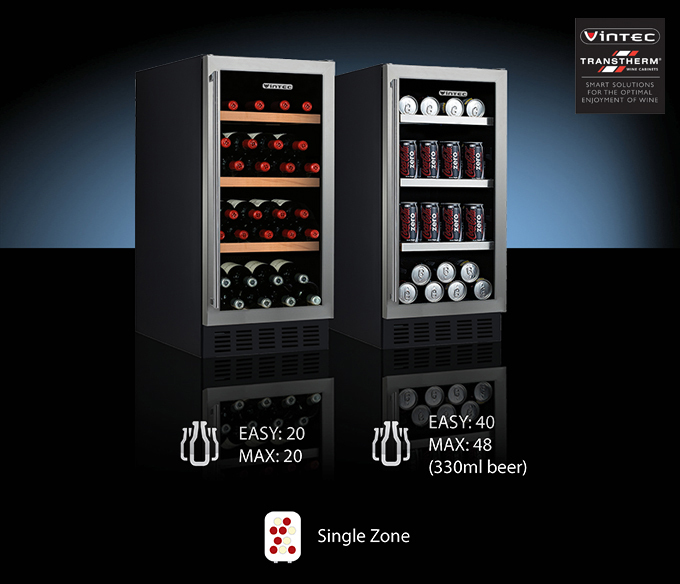 Vintec, specialist in State of the art wine storage cabinets, have just introduced a new 20-bottle ‘compact’ wine cabinet plus matching beer & wine bar. Designed to fit side-by-side in a standard 600mm under-bench space. Perfect for keeping your wines and beers in ideal cellaring and serving conditions while fitting nicely under your bench top. Contact your rep today for more details on this great new product!